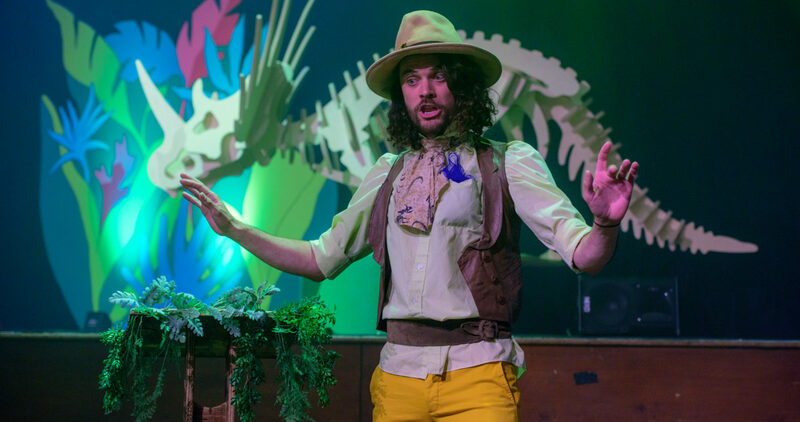 This specially commissioned show was dedicated to of Bristol’sbudding pint-sized palaeontologists! 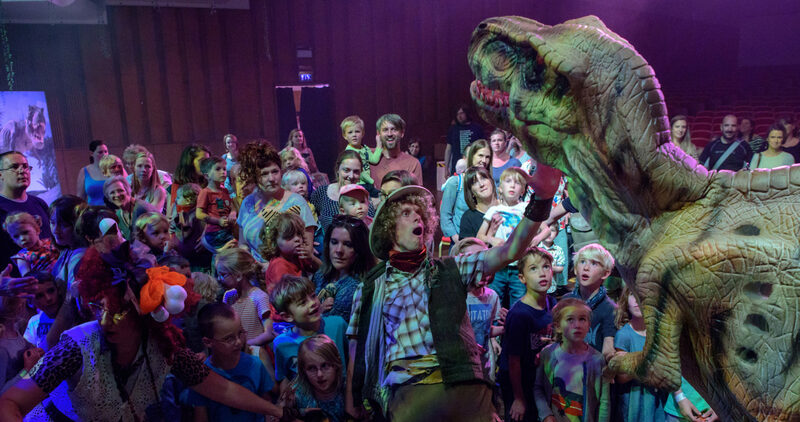 Bakehouse and Bristol Zoo invited families to step back in time into this crazy cretaceous classroom at Colston Hall. This was an imaginative interactive show for dinosaur lovers, with Professor T Rex, Velocity Raptor, Terry Dactyl and Bones teaching fun prehistoric facts through lively lessons. These colourful characters used storytelling, games, music and puppetry to create an immersive experience where the audience was at the heart of the action. The lessons involving dino digs, giant egg testing and prehistoric cooking culminated in Denzel, our ‘real life’ mesozoic megastar dropping by to do the dino stomp at the graduation disco. All pupils then received an honorary Dino School degree with full Bristol Zoo accreditation of course. An all-action roarsome romp of a show!